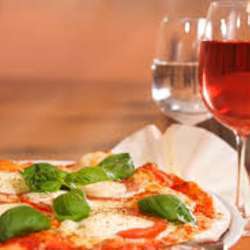 In this cold winter let's warm up with some good Italian wine and authentic italian pizza! We will gather together, taste 4 different Italian wines and share some pizzas between us. Sign up only if you are sure to attend, I have to provide with the exact number of people. Also,I remind you that Internations now requires us to report no shows. 6 members minimum and a deposit of 10 euro is needed in order the event to take place.